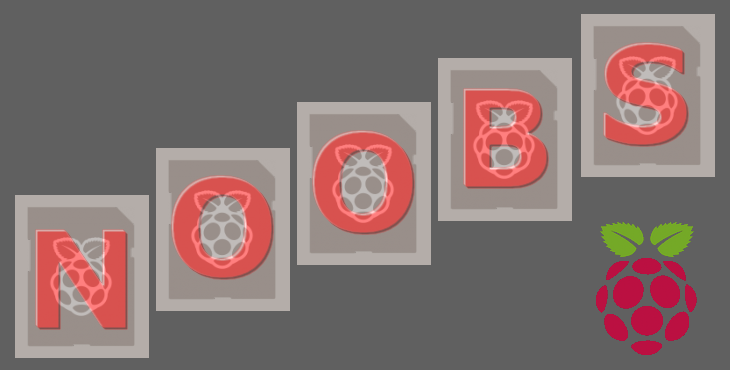 You bought yourself a shiny new Raspberry Pi, maybe the brand new Pi Zero and now you are really fidgety about doing something exciting with it but ... there are a few things that need to be done first. 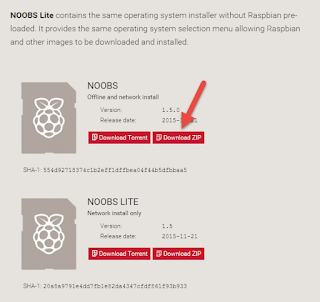 The first thing you need to do is to get yourself an SD card with a suitable Operating System installed on it so that the Raspberry Pi can run all the basic software that is needed for it to do anything. At this point NOOBS is your friend! 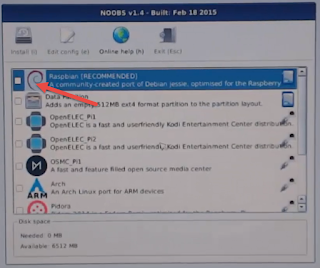 NOOBS is a piece of software that will help you installing the Operating System onto the SD card. Reuse one you already own and prepare it with NOOBS yourself. 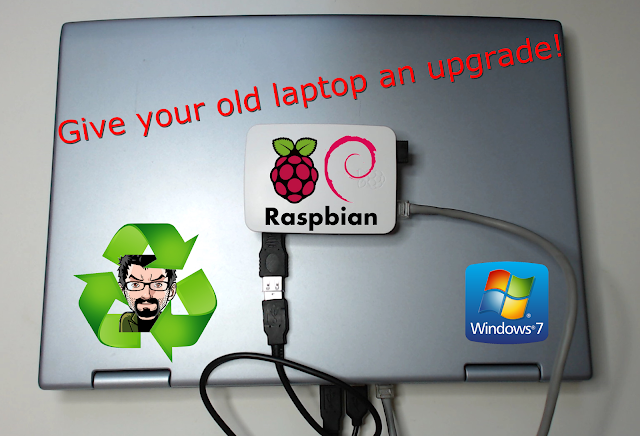 The preferred Operating System for the Pi is Raspbian and its latest incarnation is called Jessie. The names of the versions of this OS are coming from Toys Story, the previous one in fact was called Wheezy! Now Wheezy's character was a bit chubby and Jessie's was quite slim in the cartoon but despite this you will need a bigger SD card to store Jessie than you would have with Wheezy as the OS Jessie is a bit bigger than its predecessor. 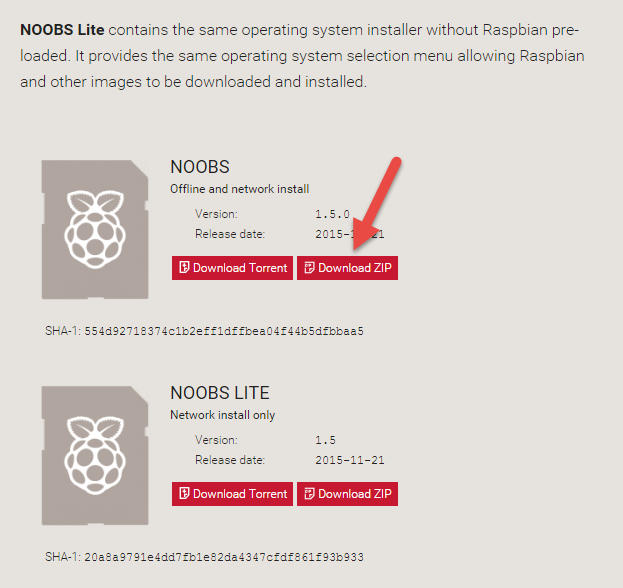 With this in mind make sure you use at least an 8 GB SD card for your Pi. 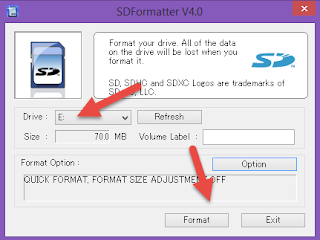 If you are going to reuse your card you have to first format it or in other words prepare it to be able to transfer NOOBS onto it, to do so you can use a software called SDFormatter. It is a really easy install to perform and you can use the videos provided if in doubt. 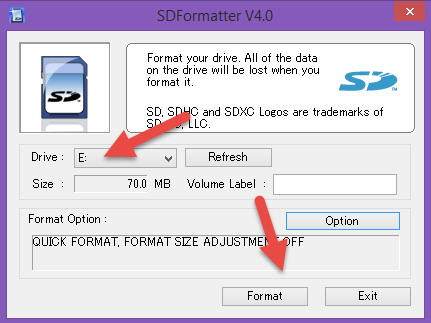 Select the right drive letter corresponding to your SD card and click on Format. You will have to accept a couple of alert messages and you card will be ready shortly after. Once the card is formatted you will need to transfer NOOBS on it. First of all let's get hold of NOOBS. 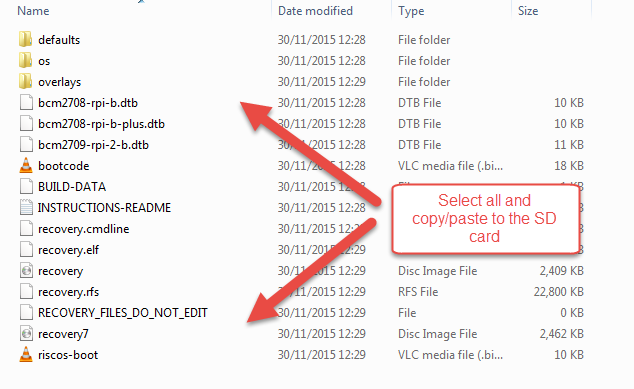 Once downloaded (it will take a while) it will have to be unpacked in a temporary folder of your choice. 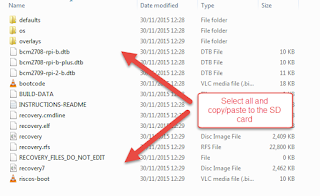 With the content unpacked you will now have to select all the files and copy/paste them onto the SD card you have just formatted (that also will take a while). The card is now ready to be ejected from the card reader and plugged into the Raspberry Pi. Make all the necessary connections to the video, the network, the mouse and keyboard and finally plug the power supply in. 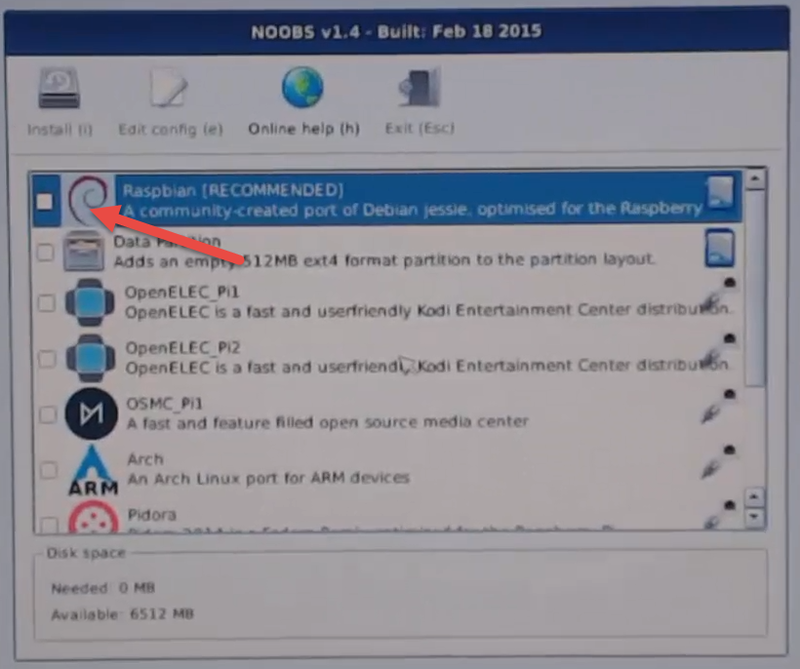 Select install near to Raspbian and ... after a while and a few rather useful information displayed during the installation, the process will terminate and prompt you for restarting into Rasbpian for the very first time.